scott's ravings: Harris. Lucas Harris. Sometimes, as a parent, our children amuse and surprise us. In their early years, they are relatively simple beings and take most of their personality traits directly from (in this order), TV, their friends, or their parents. But, as they get older, they begin to take on personalities uniquely their own, and they begin to surprise you. Luke is a perfect example of this. He is rapidly becoming a GQ fashionista. And I have no clue where he's getting it from! Neither Becky nor I are particular fussy or fancy when it comes to fashion. Yet Luke seems keenly interested in his appearance and his attire. Me: You mean a tuxedo? 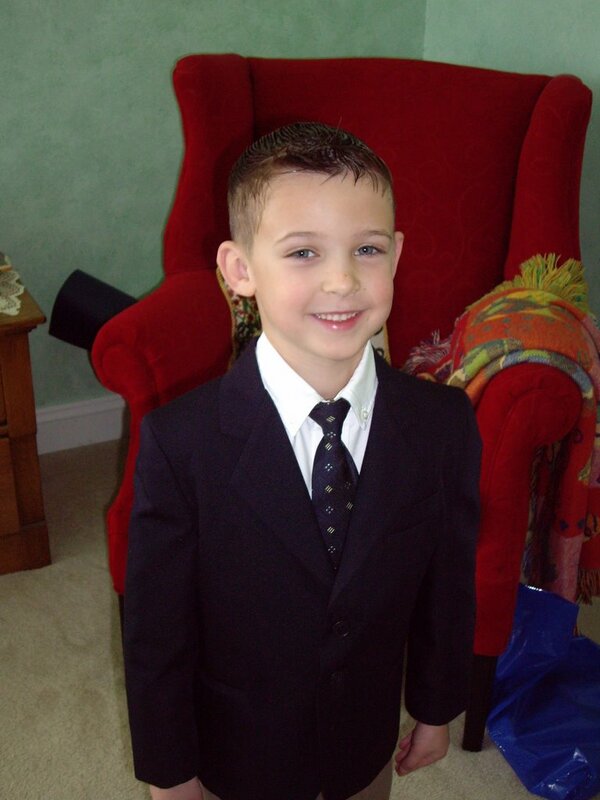 Me: Why do you want a tuxedo? Luke: So I can be a spy! So, amused by this, I decided, "What the hell." 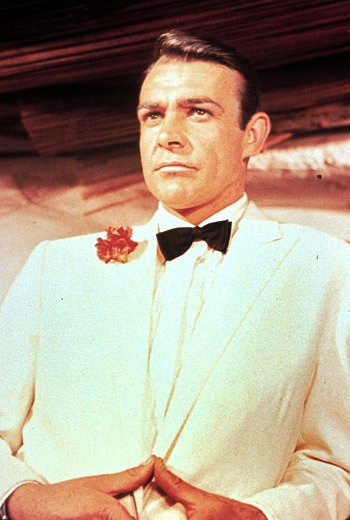 I went to the Internet and looked up tuxedos. Sure enough, I could pick him up one for around $30. 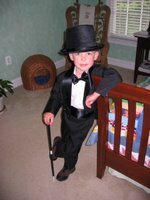 It is a fine looking tuxedo, complete with top hat and tails. Luke even got me to make him a walking stick out of an old wooden dowel rod. The typical parental thought here is that this is an amusing phase, and he'll probably soon pass out of it. Not so. 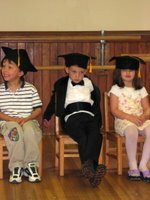 Later, in June, Luke insisted on wearing his tuxedo to his pre-school graduation. Becky and I were both greatly tickled by the thought, and said, "Sure, why not?" 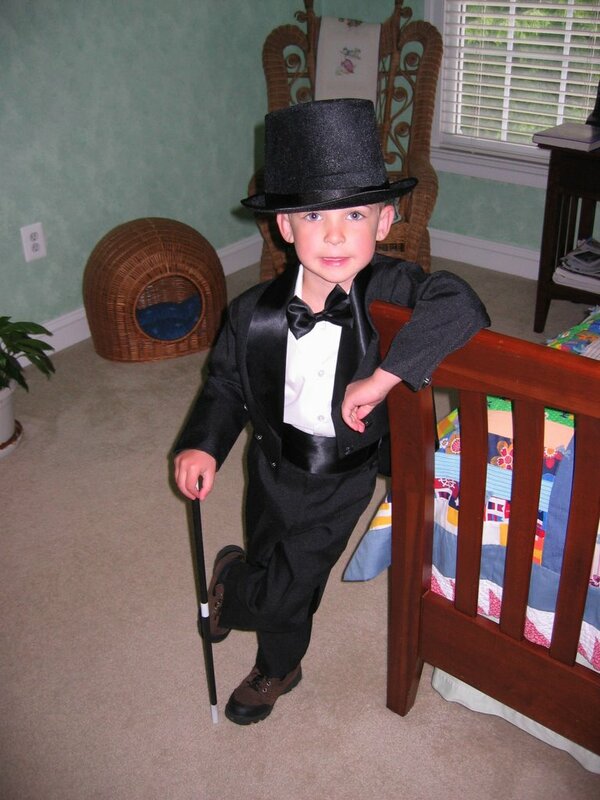 Luke dressed up, cummerbund, bow tie, hat, white gloves and all, and processed down the pre-school graduation aisle. He got tons of attention from all the Moms in the crowd: "Oh, isn't he cyuuuuuute!" "What a handsome fellow!" "Just look at Luke!!!! How cute!" Of course, he hated the attention. It embarrassed him completely. 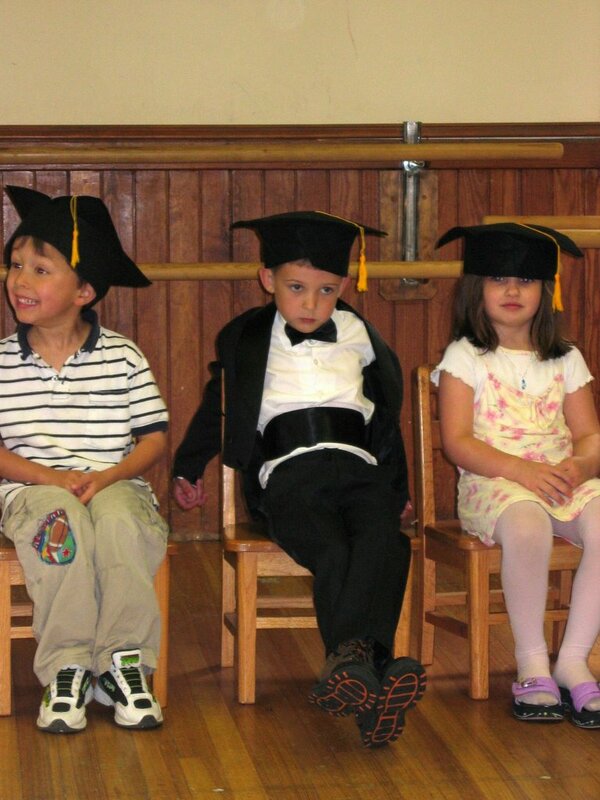 So he sulked all through graduation with this look on his face like, "My parents made me dress like this." Becky and I were defensive with the parents, "No, really. He wanted to dress up like this. Really!" Nobody believed us. We later learned what the hairdo was called. A friend of mine at work, Rob, has exactly the same hair. And when he went to a Korean hair salon to get his haircut, he was trying to describe to her what he wanted. She replied, "Oh! That slopey. You want slopey!" So now, every Sunday, I ask Luke, "You want slopey?" Okay. I figured, "Why not?" I can buy him a blazer. So I went online and found one for not too expensive from J.C. Penney's. Luke adored the jacket when it came. All that evening, we discussed what goes with the navy jacket and what doesn't. He wanted to wear black pants with it, and we said, "Mmm... black pants... not so much." 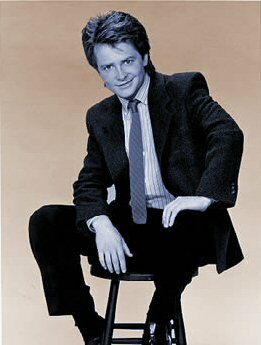 As it ended up, Becky and I were going through his closet, putting together pant, shirt, tie, sweater combinations that went with his jacket. He picked out the one he liked best, set it aside in his closet, moving all other clothes 20 inches away on the rack so as not to contaminate his preselected outfit, and reserved the clothes for church on Sunday. He still claims the reason behind his fashion sense is because he wants to be a spy. Well, a dapper little spy he will be! So, without any influence from Becky or me, Luke has firmly asserted himself as a protogé of Alex P. Keaton and Sean Connery. And what's more, he's now feeling confident enough that he's become a critiquer of my own fashion. When I walked through the door the other night, with my new tweed jacket on, blue pants and a turtleneck, Luke gave me an eager waggle of the eyebrows and a thumbs-up sign. He heartily approved. It'll be good to have another person in the house ready to tell me, "You're not going to wear that shirt with those pants are you?" Great. I just never thought it would be Luke. That first picture is classic!! What's wrong with black pants and a blue blazer?